Who is NBT’s Resident Go-Getter and a devoted animal lover? That would be Linda, our advanced-level MFR therapist! A real doer who is always the first to lend a hand, Linda is motivated by her desire to care for others…humans and non-humans alike! 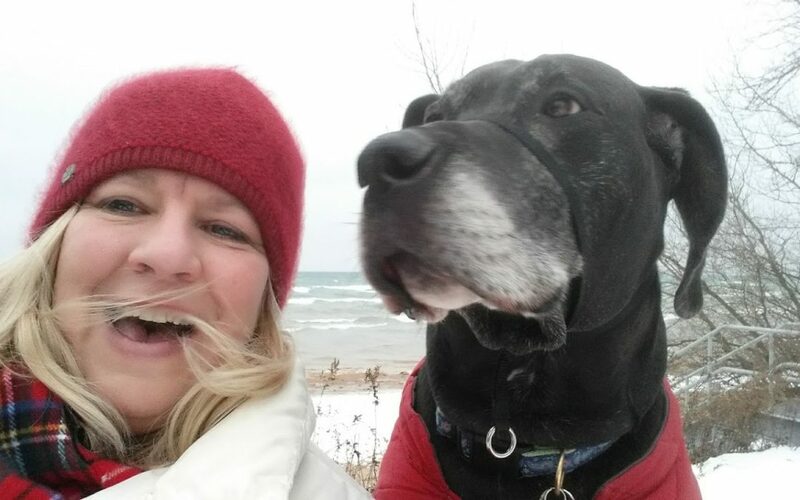 In addition to helping humans in her MFR and aromatherapy practice, Linda has taken care of dogs, geese, hawks, horses, rabbits, raccoons, and everything in between. One of her favorite animal memories is of rescuing an injured red-tailed hawk and being invited to watch his release! She is the proud owner of a Great Dane named Ella, who sometimes sits in on client sessions thanks to her gentle personality and calming presence. Linda also has two human children she adores and two grandsons that light up her life. She loves to cook, and her signature grandkid-approved recipe is for gluten-free chocolate muffins…made with beets! In her free time, Linda enjoys hiking with Ella and dreams of visiting the National Parks. She also loves visiting farmers’ markets on weekends, enjoying a good walk while perusing the fresh produce and soaps.